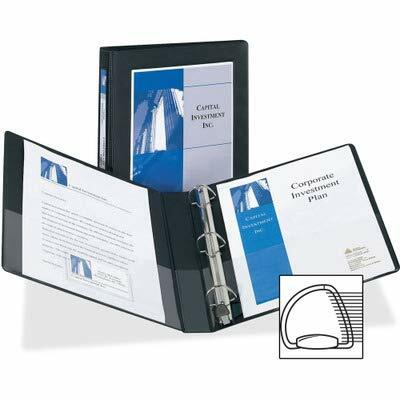 Some binders let the contents get all the attentionnot so with this Framed View Binder. You can customize a title page and spine insert with free templates from avery.com to identify, emphasize and impress. The professional-looking title page and spine ID stay in place with the help of the patented mounting sheet. Within the gorgeous covers are Gap Free rings that open and close easily. Your presentation will be a hit both inside and out. Clean, elegant border on front panel perfectly frames and centers title page for a professional look. Easily insert title page and spine ID with convenient mounting sheets. Gap Freeï¿½ feature prevents ring misalignment so pages turn smoothly. Back-mounted rings allow pages to lie flat. 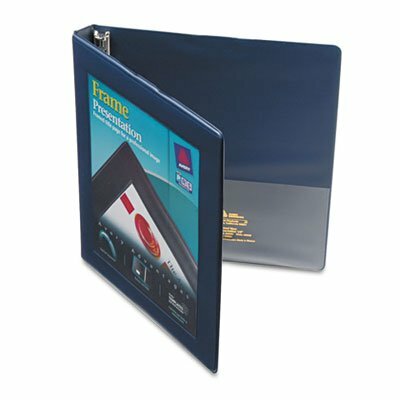 Wider front and back binder panels now fully cover standard dividers and sheet protectors. Business card slot for adding your business card to proposals and presentations. Two clear inside pockets allow for additional storage of loose documents. Clean, elegant border on front panel perfectly frames and centers title page for a professional look. Easily insert title page and spine ID with convenient mounting sheets. Gap Free feature prevents ring misalignment so pages turn smoothly. Back-mounted rings allow pages to lie flat. Wider front and back binder panels now fully cover standard dividers and sheet protectors. Business card slot for adding your business card to proposals and presentations. Two clear inside pockets allow for additional storage of loose documents. Locking EZD Ring holds up to 50% more than same size round rings 20% more than slant rings. 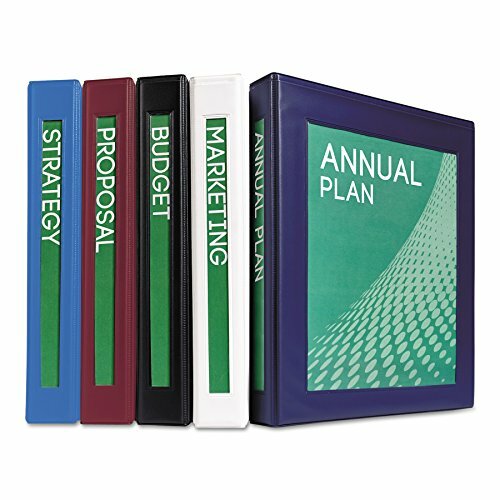 Capacity Range Max: 1 1/2amp;quot; Sheet Capacity: 400 Colors: Navy Blue Binder Sheet Size: 8 1/2 x 11. Stylish graphic border on the cover that makes your presentations look great. Customize both outside and inside front cover. Durable, lightweight and easy to carry. Special materials prevent ink and toner transfer. Available in 1/2Inch and 1Inch round ring sizes. Holds 8-1/2 x 11 Inches sheets. Clean, elegant border on front panel perfectly frames and centers title page for a professional look. Easily insert title page and spine ID with convenient mounting sheets. Gap Free feature prevents ring misalignment so pages turn smoothly. Back-mounted rings allow pages to lie flat. 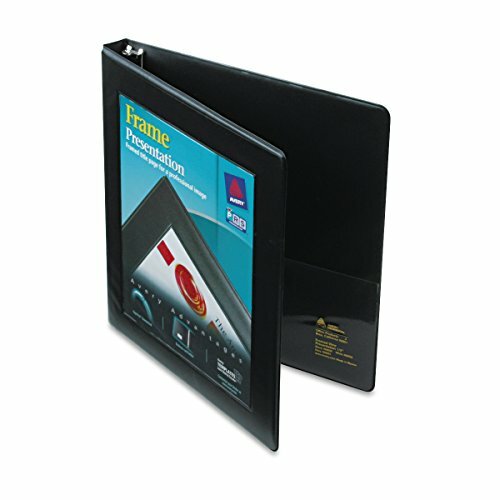 Wider front and back binder panels now fully cover standard dividers and sheet protectors. Business card slot for adding your business card to proposals and presentations. Two clear inside pockets allow for additional storage of loose documents. Locking EZD Ring holds up to 50% more than same size round rings 20% more than slant rings. Capacity Range Max: 1amp;quot; Sheet Capacity: 275 Colors: Black Binder Sheet Size: 8 1/2 x 11. Clean, elegant border on front panel perfectly frames and centers title page for a professional look. Easily insert title page and spine ID with convenient mounting sheets. Gap Free feature prevents ring misalignment so pages turn smoothly. Back-mounted rings allow pages to lie flat. Wider front and back binder panels now fully cover standard dividers and sheet protectors. Business card slot for adding your business card to proposals and presentations. Two clear inside pockets allow for additional storage of loose documents. Locking EZD Ring holds up to 50% more than same size round rings 20% more than slant rings. 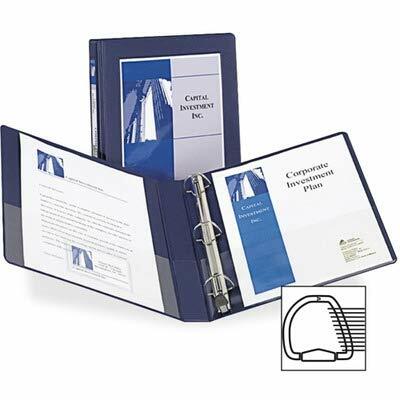 Capacity Range Max: 1amp;quot; Sheet Capacity: 275 Colors: Navy Blue Binder Sheet Size: 8 1/2 x 11. Now you don't have to choose between clever design and good looks. This Framed View Binder has both. Clean, elegant border on front panel perfectly frames and centers your title page for a professional look. 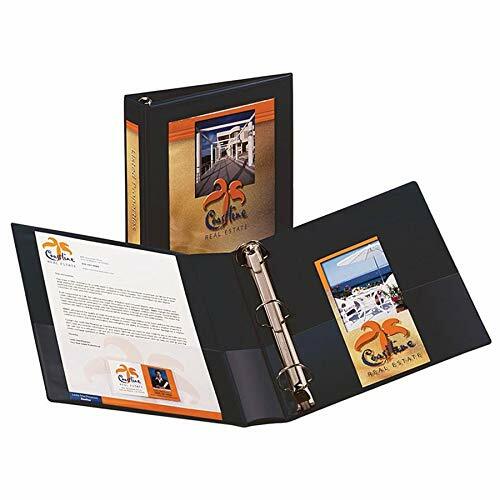 Clear cover and spine inserts allow you to easily customize your binder using free, easy-to-use designs and templates from Avery Design & Print (mounting sheets included). Two clear interior pockets and a business card pocket add to the professional image. Pages lie flat with back-mounted rings (exposed rivets on back). 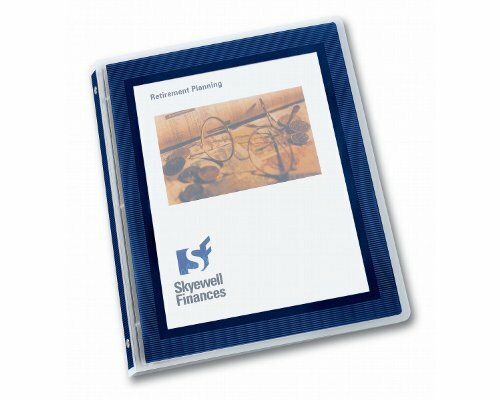 Wider front and back panels fully cover standard dividers and sheet protectors. In this binder, your presentation will get the attention it deserves. 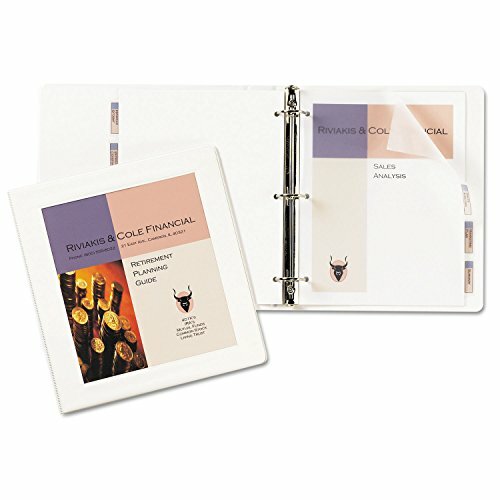 Looking for more Avery Framed View Binder similar ideas? Try to explore these searches: Wrap Mirror Spring Bracelet, Canon Replacement Color Ink, and Lower Unit Gear Oil. Look at latest related video about Avery Framed View Binder. Shopwizion.com is the smartest way for online shopping: compare prices of leading online shops for best deals around the web. Don't miss TOP Avery Framed View Binder deals, updated daily.